Erin grew up in Pittsburgh and graduated from Brashear High School in 2005. She has a Master's degree in Sociology and Equity Studies in Education from the University of Toronto and is a staff member at the Graduate School of Public and International Affairs at the University of Pittsburgh. Erin co-founded the PGH Zine Fair in 2011 and is a founding DJ with YASS QUEEN dance party since 2016. Learn more about her work at www.eringatz.com. Louise believes in the transformative power of making things—a central theme in her work as a maker and educator. Louise teaches an interdisciplinary approach to digital fabrication at Carnegie Mellon University, where she is pursuing a Master's Degree in Design. She is also an amateur powerlifter, sewist, and dog person who loves to talk about the future of the internet. Ask her about growing up in Montana sometime or visit louiselarson.com. Bryanna grew up in New Jersey and attended Rutgers University. As an AmeriCorps community organizer at Rutgers, Bryanna was responsible for planning and executing multiple sexual violence awareness and education programs on campus. 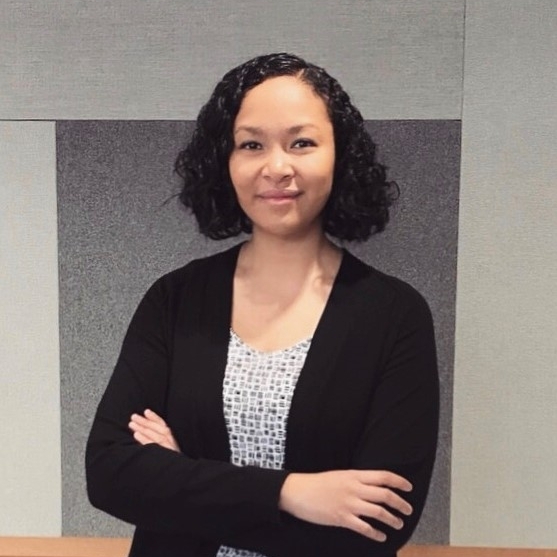 Bryanna has experience in marketing and project management at a multicultural marketing agency and as a coach for several women’s sports teams. As Operations Manager at Prototype PGH, Bryanna is committed to increasing gender equity in the growing tech and entrepreneurial sectors. Delvina is an NYC native who now calls Pittsburgh’s South Side home. She has her B.A. in Anthropology and Peer Education from Hobart and William Smith Colleges and is the Director of Development and Community Engagement at Pittsburgh Life Sciences Greenhouse. Delvina is a Pittsburgh Business Times inaugural 30 under 30 recipient, a Leadership Development Initiative class of 25 alumna, and special events fundraising instructor at the Bayer Center for nonprofit learning. Delvina has over 9 years of nonprofit event planning and fundraising experience and is pursuing her M.B.A. at Duquesne University. As a maker, Delvina is all about being able to create gifts for families and friends. Lori Hepner is an artist working among the fields of photography, performance, and light art. A collaboration with singer/songwriter Kendra Ross has manifested itself into live performance as Hepner & Ross in Intersection*ology. A feminist exploration into the power of women, technology, and individual voices, she developed the real-time, light painting system that is used to draw with light using the body during these performances. Lori’s artwork has been featured in Time Magazine’s Lightbox, Next Level Magazine’s Pittsburgh edition, and Wired Magazine, and has been exhibited internationally in places such as the Houston Center for Photography, Carnegie Museum of Art, the Brooklyn Museum, and in photo festivals in the Netherlands, China, Spain, and South Africa. She has an M.F.A. in Digital Media from Rhode Island School of Design and a B.F.A. in Fine Art Photography from Rochester Institute of Technology and is associate professor of integrative arts at Penn State Greater Allegheny. Sarah grew up an hour north of Pittsburgh and has lived in the city for 10 years. She is a staff editor at the Oncology Nursing Society, where she does copy editing and layout design for two peer-reviewed nursing journals. She has a B.A. in English Literature and History of Art and Architecture from the University of Pittsburgh. Sarah is a knitter, metalsmith, and lover of the outdoors. She’s been to nine national parks (and counting). Originally from the Bay Area in California, Sarika moved to Pittsburgh for her undergrad at Carnegie Mellon. In college, she became interested in the intersection of design and engineering which she explored further through her student defined major in Product Ideation, Prototyping, and Development and her work at Intel's New Devices Group. She is currently pursuing a dual Masters degree at CMU in Electrical and Computer Engineering and Technology Ventures. Lydia was born and raised in central New Jersey. She received her B.A. in English Writing from the University of Pittsburgh, where she is also currently working toward her Master of Public Policy and Management degree from the Graduate School of Public and International Affairs. Originally from the small town of Sarver, PA, Christine works with businesses and organizations to collaboratively pilot initiatives in city government as a Civic Innovation Specialist. She is a graduate of Muhlenberg College, with degrees in accounting and dance performance, and is currently enrolled at Carnegie Mellon University to pursue her Master in Public Management. Christine is part of the Pittsburgh-based aerial dance company, Bombyx Collective, and is a strong supporter of bringing divergent skills and people together to invent and build. Born and raised in the Philippines, Veronique Anderson grew up with the need to help others. In 2002, she continued this aspect when she moved to New Jersey where she was heavily involved in the community. She then went on to graduate from the University of Maryland, College Park. Veronique majored in Behavioral and Community Health with a minor in Human Development. During her time at school, she was involved in a variety of organizations including: Alpha Phi Omega, The Love Movement, and Alternative Break. Post-graduation she pursued a career in Public Health, but soon realized this was not the right fit, which is what brought Veronique to the financial services industry (Northwestern Mutual) in 2017. She is committed to always doing what is right. Veronique resides in the Shadyside area of Pittsburgh. In her spare time she enjoys attending concerts, being in nature, playing the piano, cooking, and spending time with her friends and family. Marti Louw is the Director of the Learning Media Design Center at Carnegie Mellon University's Human–Computer Interaction Institute. She teaches courses related to Learning Media for IDeATe. Marti is also leading an effort with CMU’s Create Lab and the Carnegie Museum of Natural History to develop three demonstration projects that use gigapixel image technology to create participatory kinds of science learning experiences with children and people of all ages in galleries, public spaces, and online.